During the era of the Nintendo Entertainment System (NES), many companies created video game locks that prevented children from playing games so they aren’t distracted from doing their homework. 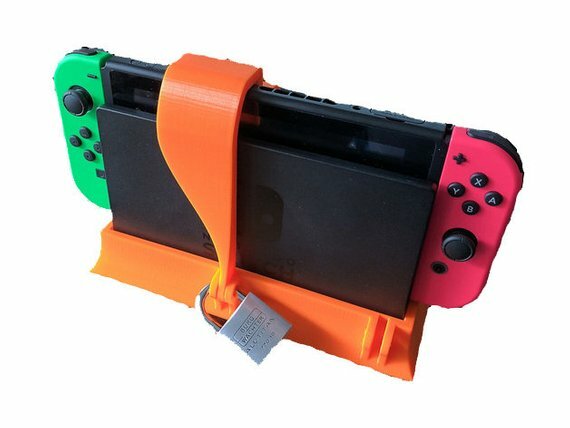 It appears that the video game lock has been resurrected in 2018. 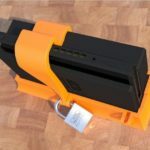 Etsy seller 3Dexpressions has created a video game lock called the Nintendo Switch Safe that stops children from taking the Switch out of the dock without permission. 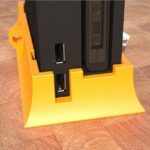 It can also be used during video game tournaments to stop people from removing the Switch. 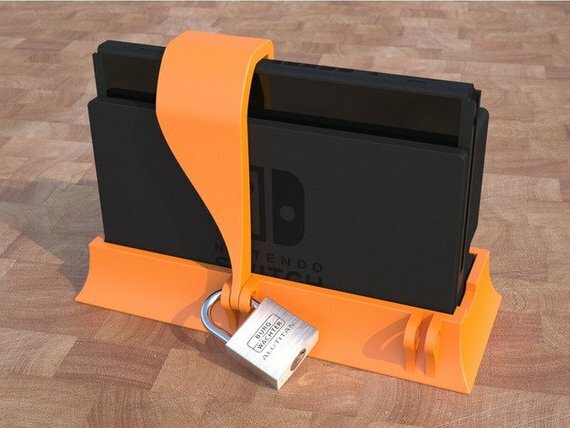 The Nintendo Switch safe locks the Nintendo Switch and Nintendo Switch Dock in its place. It also covers the Game Card slot to prevent others from ejecting the Game Card. Unfortunately it seems that the Power button isn’t covered by the locking handle, so it’s still possible to turn on the system and play in TV Mode. 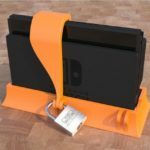 If you think you need the Nintendo Switch safe, 3D print it with these files.